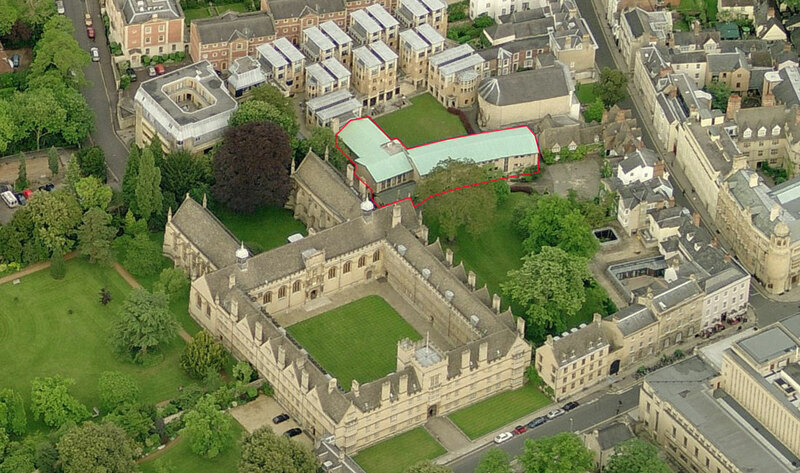 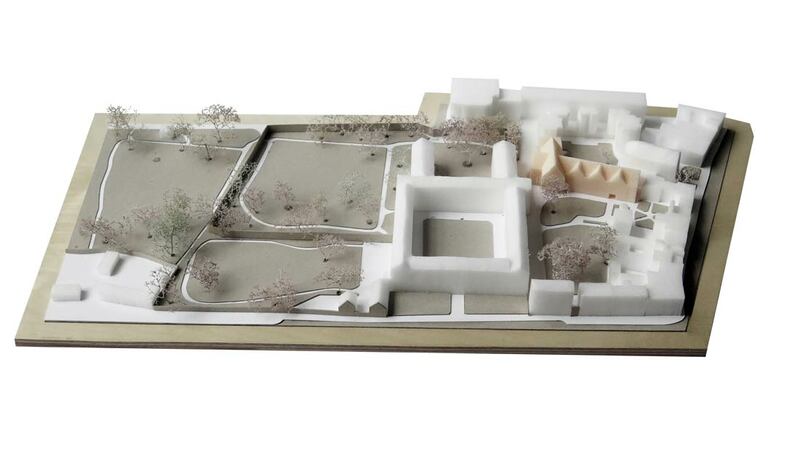 Invited competition entry to design a new student building at Wadham College, in Back Quad at a position between the original gabled-ended early 1600s buildings and a series of 1970s-1990s additions. 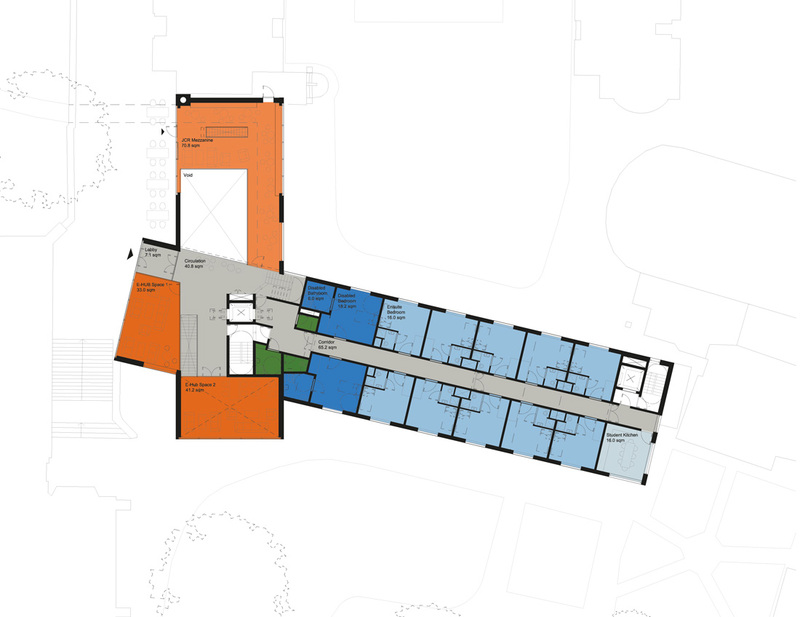 The new building was to replace a smaller and non-accessible 1950s block. 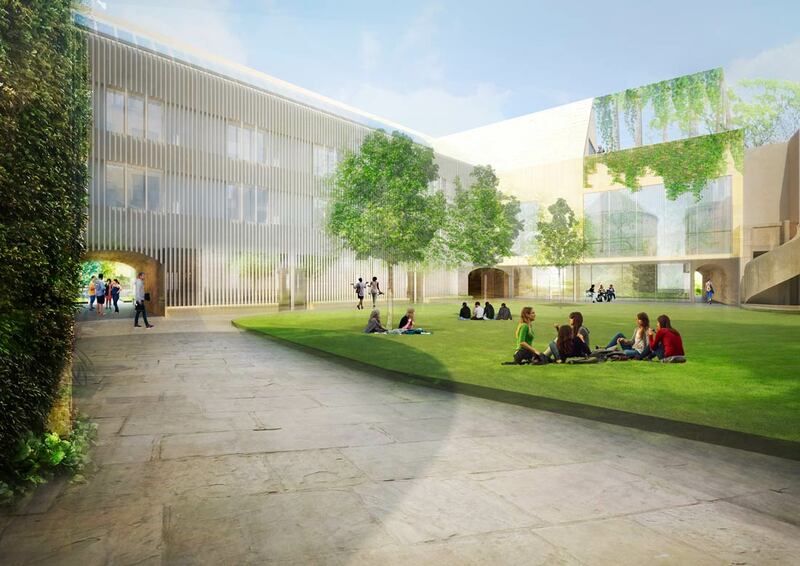 A key element of the project was the Undergraduate Centre, to be a great new centre of life for students, designed to strengthen the mixed undergraduate community by providing spaces for them to socialise, work and engage with each other. 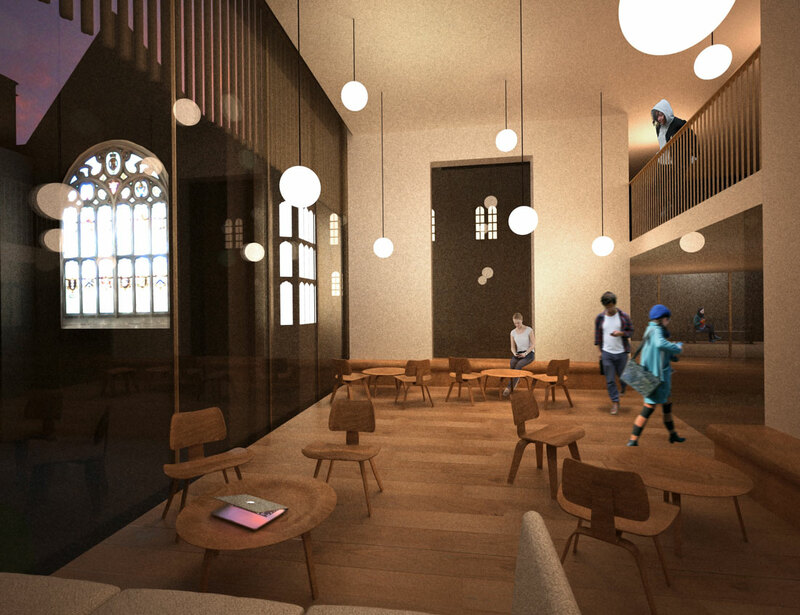 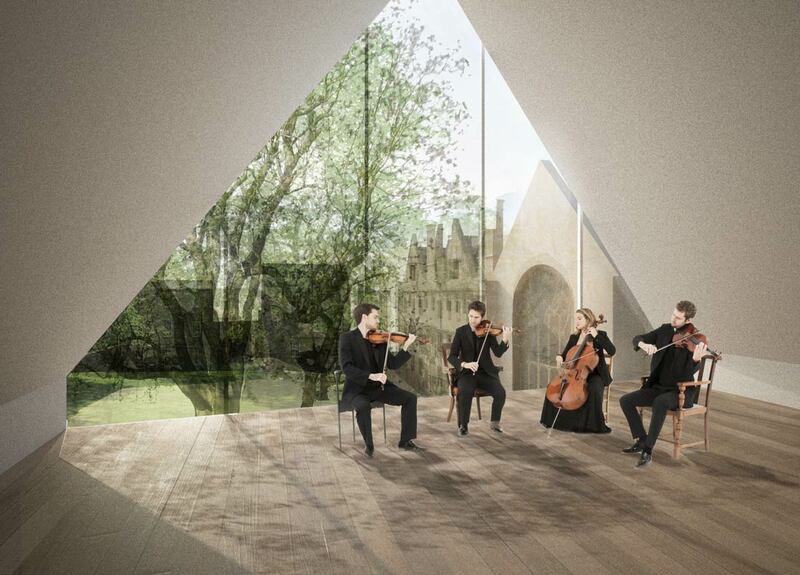 The other was an Aspiration Centre, envisaged as an inviting and open focal point with two large seminar rooms for visiting young people considering studying at Oxford and attending summer schools. 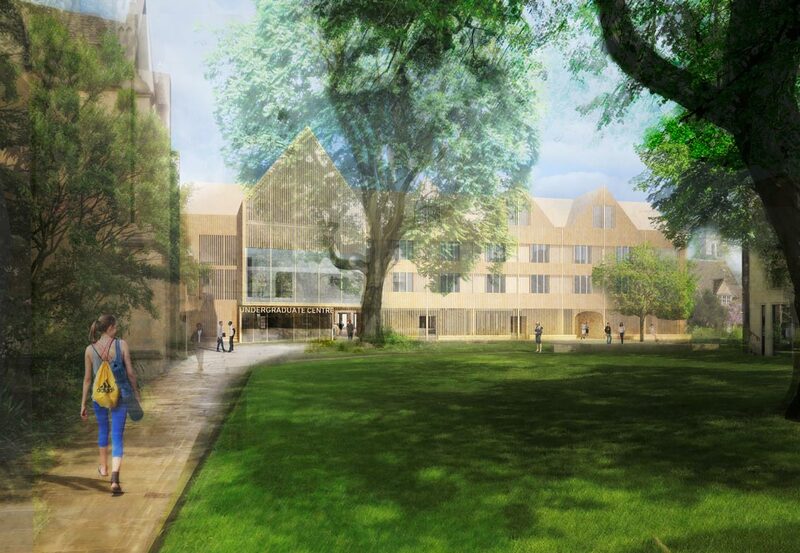 The programme also included 30 student rooms, College offices, and a bike store. 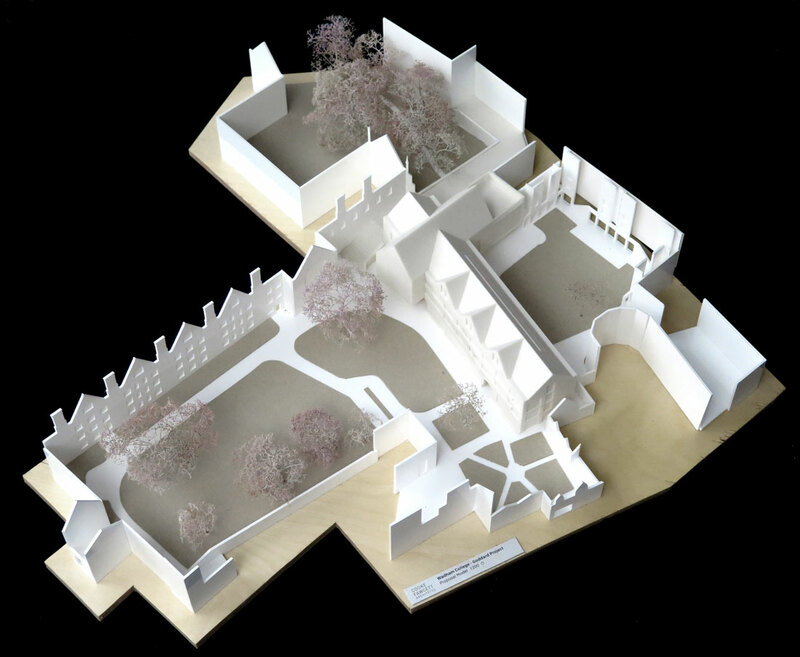 The proposal is based on two simple intersecting gabled forms — echoing the defining existing forms of the College — with key social and informal study spaces located at the intersection of the two main forms. 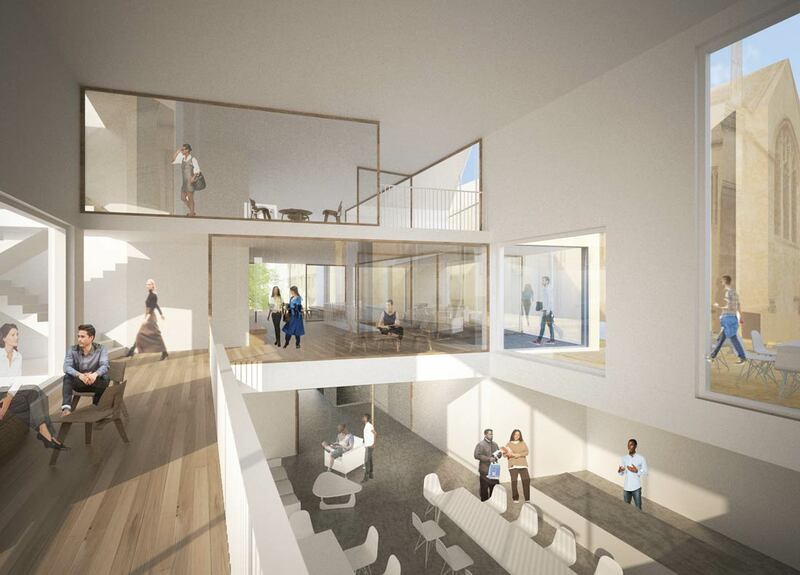 Double and triple-height spaces link the ground floor spaces, an existing 1970s raised walkway level, up to the upper levels, forming a series of flexible and interconnected undergraduate living spaces extending into the glazed gable ends, overlooking surrounding Quads. 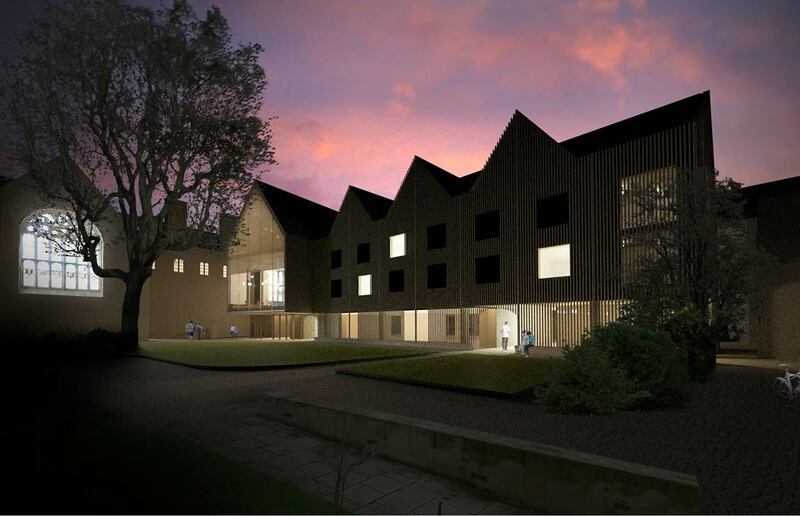 The two main forms are differentiated via façade texture of a sandstone or reconstituted stone wall – one to be smooth, the other heavily textured. 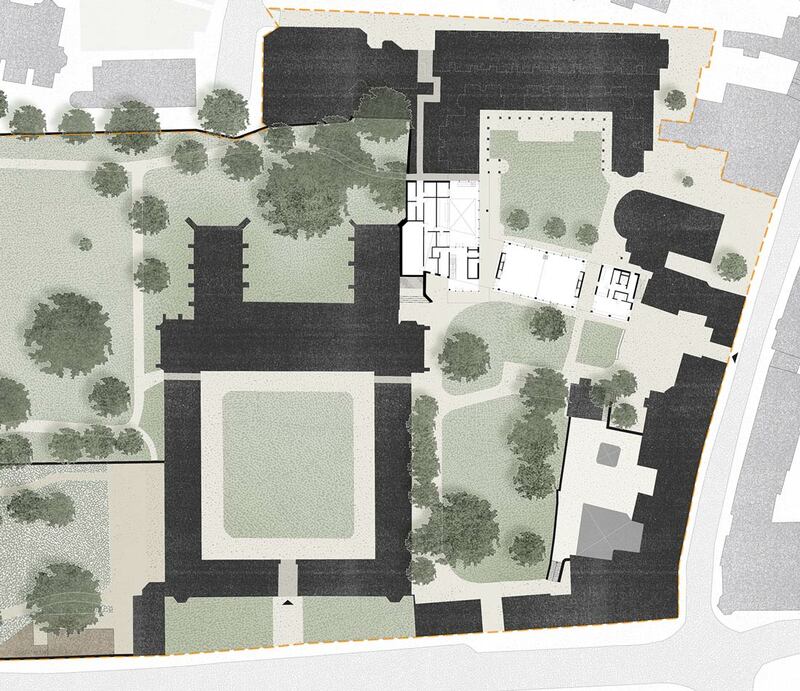 Three ground floor passageways and a covered walkway create vital links between previously separated Quads and address decades-old circulation issues in this area of the College.